Ideal for storing wet or dry clay. It features outstanding strength and durability. The ribbed bottom increases stability and improves dragging capability. Its seamless construction makes for easy cleaning. 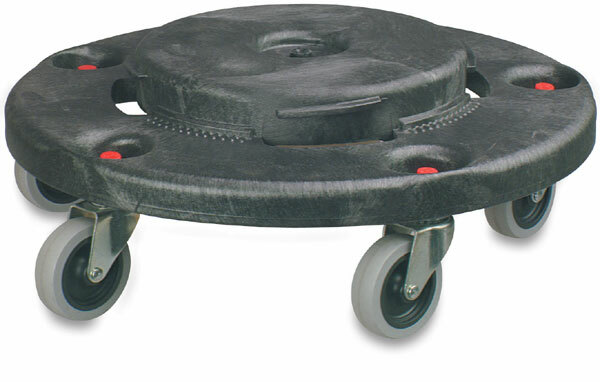 Twist-on, twist-off dolly provides mobility for clay container. Five casters for greater stability.